Realtors meeting strangers alone in a home. Nurses walking alone in a parking garage at night. Any professional that finds themselves in a potentially dangerous situation. 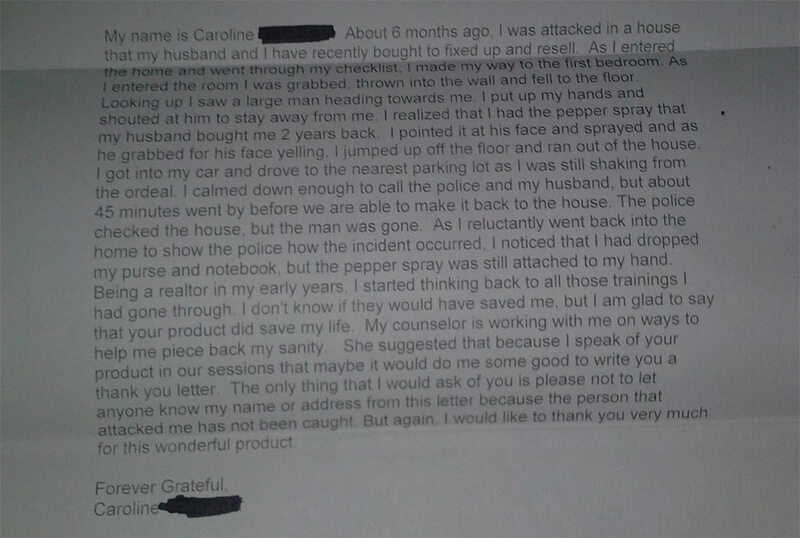 Spartan Pepper Spray is always at your fingertips for your safety and protection. For many professionals it’s just a fact of life that if you work in a city you are going to at sometime have to park in a parking garage. It’s unfortunate, but parking garage assaults are an increasingly common occurrence around the U.S. Parking garages, with their weird shadows, eerie silence, and terrible reputation for danger, are oftentimes scary places. Many things can go wrong in a parking garage – from your basic fender bender with a driver who isn’t paying attention to a kidnapping or assault. Most accidents can be avoided if we are all a little more alert. Make it a point to keep your eyes open and constantly scan your surroundings. And keep your ears alert, as well – no cell phone or headphones to distract you or drown out potentially important noises. Be alert both when you’re walking into and out of the facility and when you’re parking or driving out of the garage. Just paying attention to other drivers, people who are on foot in the lot, and anything off about your surroundings will keep you safer than most people. Stairs and elevators are great places to get trapped with a person who wants to harm you. This piece of advice is especially important for women, but even men can get trapped in stairwells or elevators with a predator or thief. It’s almost impossible to hear someone in these sections of the parking garage, which is why you must avoid these areas when you’re alone. Again, this tip is especially important for women, who are more often targets for thieves and worse predators in parking garages. If you wear heels or flats that you can’t run in to work, consider changing into tennis shoes before you go pick up your car. Not only will your feet be more comfortable, but you’ll also be able to run if you see someone suspicious. When walking into potentially dangerous areas, it’s a good idea to be prepared for the worst with pepper spray and a personal noisemaker. (Be careful, though, because pepper spray is not allowed in all states or countries.) 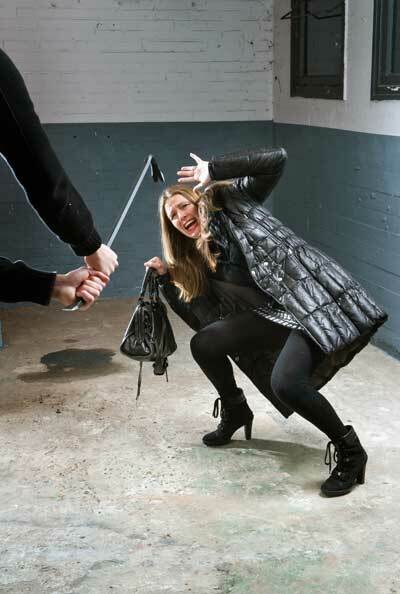 Even just making a lot of noise if someone tries to grab or rob you can be a deterrence; most predators will target only people who look vulnerable and unprepared. The National Safety Commission notes that you should make a habit of scanning behind, in front of, and under, and inside your car as you’re walking up to it. In addition, it’s a good idea to be wary of large trucks and vans parked directly next to your car. Most likely, there’s nothing off about trucks and vans in your average parking garage. But kidnappers have used them as an easy way to shove a target inside and drive off. Probably the most important way to protect yourself is to lock your doors immediately – before you even secure your seatbelt – and leave right away. If you need to buckle a child into a seat, get in the back seat with him and shut and lock the door before buckling him in. Then look around before you get out to get into your seat. People who sit around in a parking garage and take their time before driving away – fiddling with the radio or a GPS – just make themselves targets. These six tips for staying safe may seem a little scary and alarmist, but the truth is that parking garages are an excellent place for predators to hide and to take advantage of you. Keep your home tours safe and secure with these 15 Real Estate Agent safety tips. Working in real estate can be dangerous. It’s common for agents to meet strangers in isolated locations at odd hours, which can be the perfect setting for an attack. Let at least one personal contact and your office know where you are at all times. Don’t agree to a private showing unless you’ve already met a client in your office. Have clients complete an information form (name, copy of driver’s license, vehicle information) during open houses and prior to scheduling private showings. Don’t leave a client in your blind spot. Let the client proceed in front of you during a private showing. Drive through the neighborhood prior to a private showing or open house. Be on the lookout for safety concerns. Identify each of a home’s exits prior to a showing or open house. Keep exit doors unlocked. Don’t allow a client to ride in your car unless you know them well. Leave your purse in the trunk of your car. Buy a personal security app for your cell phone, and always keep your cell phone in your hands. Be ready to defend yourself. Travel with Spartan pepper spray. Trust your instincts. If something doesn’t feel right, remove yourself from the situation. Don’t worry about offending a client. Your safety is paramount.